For some reason, it maybe needed to reboot a vCenter once in a while. Especially a windows-based vCenter when the windows updates need to be executed. When using vCloud Director in combination with that specific vCenter Server, it might happen that the vCloud Director Cells break their connection to the vCenter Server. Every vCD Cell has a vCenter Proxy that connects to the vCenter to perform management operations like the creation of a new VM or vApp or the connection to the VM console. Repeat step 4 until the task count reaches zero. 9. The next cell can be rebooted by repeating step 1 to 8 for the next cells (one at a time). 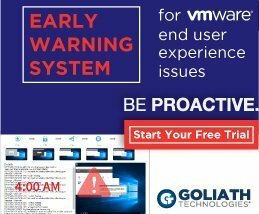 After the reboots of all cells, the vCenter Proxy on those cells are active again and customers are yet again able to connect to their VMs and run management operations.